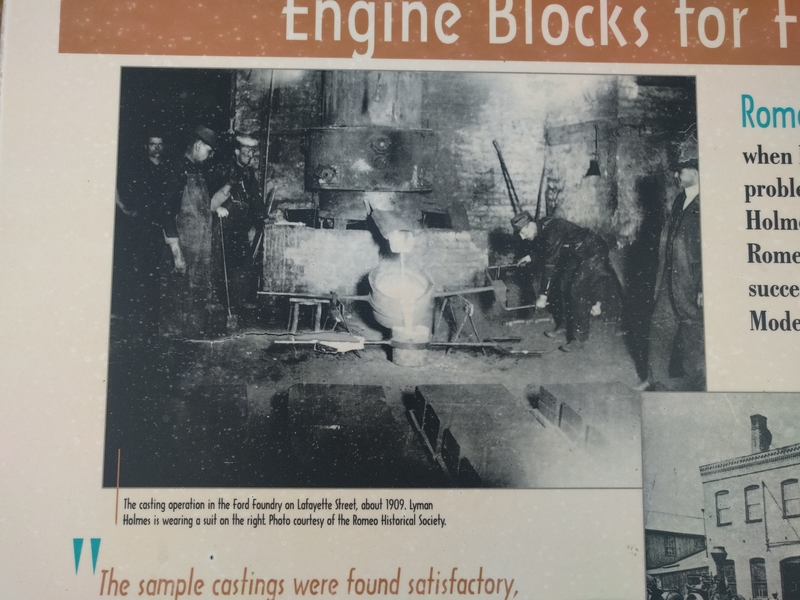 Additional Description: The casting operation in the Ford Foundry on Lafayette Street, about 1909. Lyman Holmes is wearing a suit on the right. Photo courtesy of the Romeo Historical Society.